Before I jump into the new month, I wanted to feature the two creative collaborations I did with friends in July. 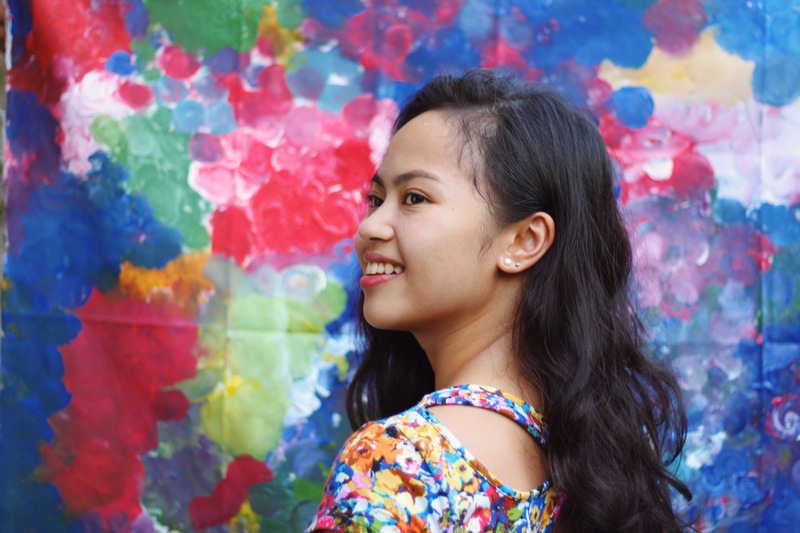 The first one I did earlier this month was a paint-and-shoot session with Andrea Zubiri, my good friend who also happens to be a talented photographer! 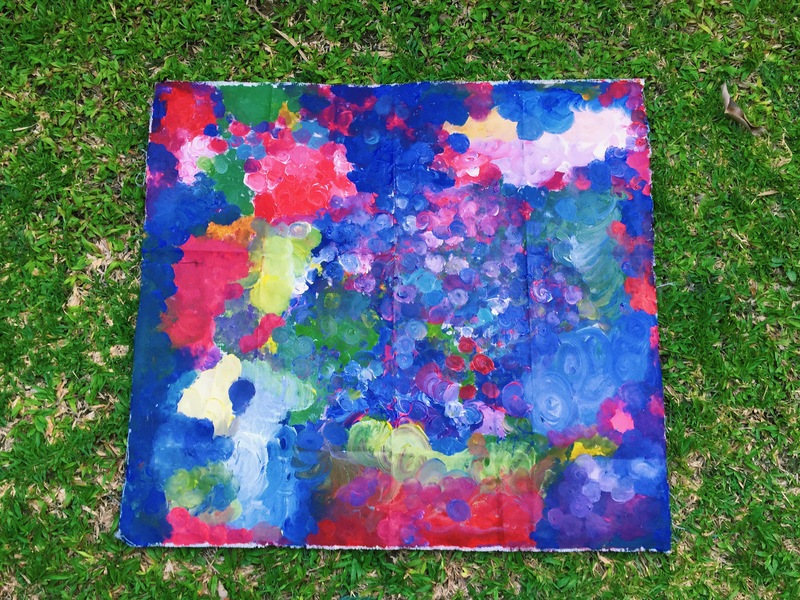 This is our joint painting which we titled “Free Flowing Flowers.” We used acrylic paint on a 26×26 inch canvas. We wanted to make something that was vibrant, dreamy, and full of life. FREE FLOWING FLOWERS, 2015. Acrylic on canvas, 26×26. By me & Andrea Zubiri. 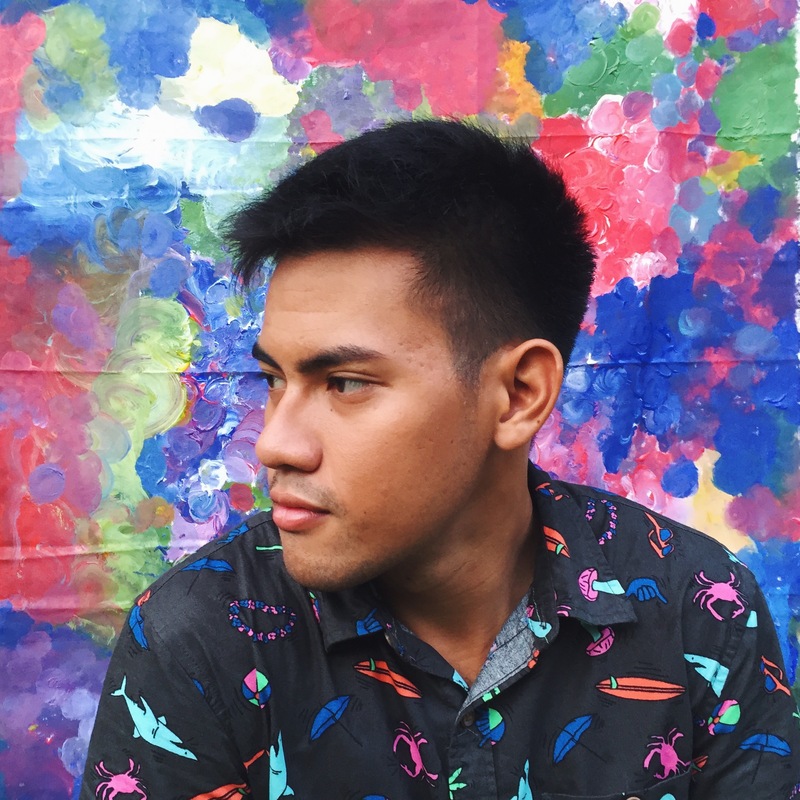 Our concept for the collab was to paint our own backdrop for a photoshoot. That afternoon, we ended up having way too much fun painting our huge canvas that by the time we finished, the golden hour sun was quickly disappearing! But thankfully, we were still able to take some well-lit photos in Andy’s backyard. SELF-PORTRAIT. Photo by Andrea Zubiri. Marco picked me up that day and ended up taking some last minute pictures with our painting too! Andy and I plan to get together soon to paint our other canvas and take more photos. I’ll keep you all posted when we get to paint again! “THINKING ART LOUD.” Photo by me hehe. ME & ANDY. Can’t wait for our next backyard session! The second collab I did in July was earlier this week, this time with my good friend Yumi Catabijan. One thing you should know about Yumi is when she’s not painting or traveling in her free time, she’s an amazing production designer and freelance filmmaker who can literally transform sets into fantasy worlds. (Her thesis film, Agos the Manila Dream, made it to Cannes film festival guys!!!) 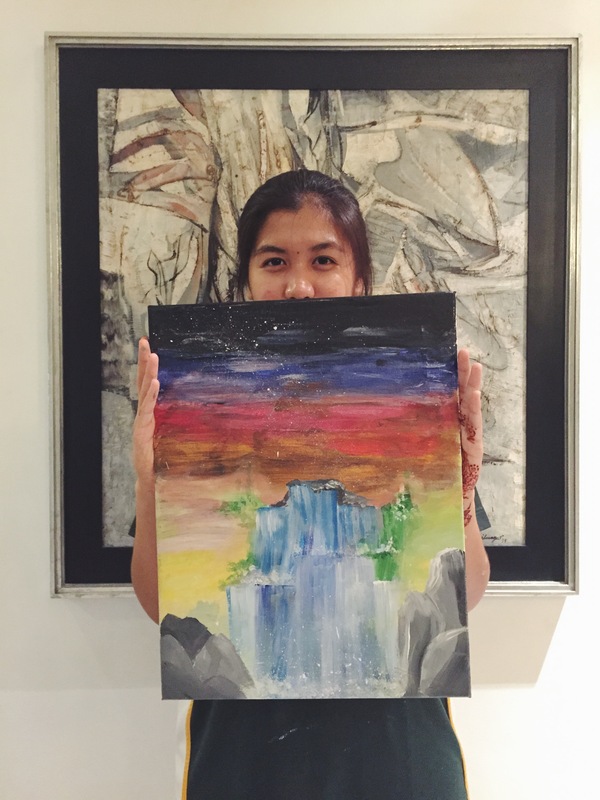 This is her with her artwork, “Psychedelic Waterfall” an acrylic on canvas piece. YUMI & HER PSYCHEDELIC WATERFALL. She still plans to paint Harry Potter and Darth Vader on top to complete the picture. For our Tuesday evening paint session, we really just wanted to have fun with it and paint whatever came to mind. The soundtrack to our session was full of trippy and chill music (Klingande and Brother Tiger, anyone?) which I think pretty much influenced our art. It also helped that we brought along some Sangria to turn our little paint session into a paint party. TRIPPY TUESDAY PAINTINGS. Yumi (left), me (center) and Marco (right). Marco ended up crashing our paint party and made an artwork of his own, too. I gave him one of my canvasses and he transformed it into a picture which he explained is supposed to represent the 24 hours compressed into 2 dimensions. My painting, on the other hand, is called “Anatomy of a Dreamer.” I wanted to paint the inner workings of a person who’s lit up with ideas and buzzing with dreams. ANATOMY OF A DREAMER, 2015. 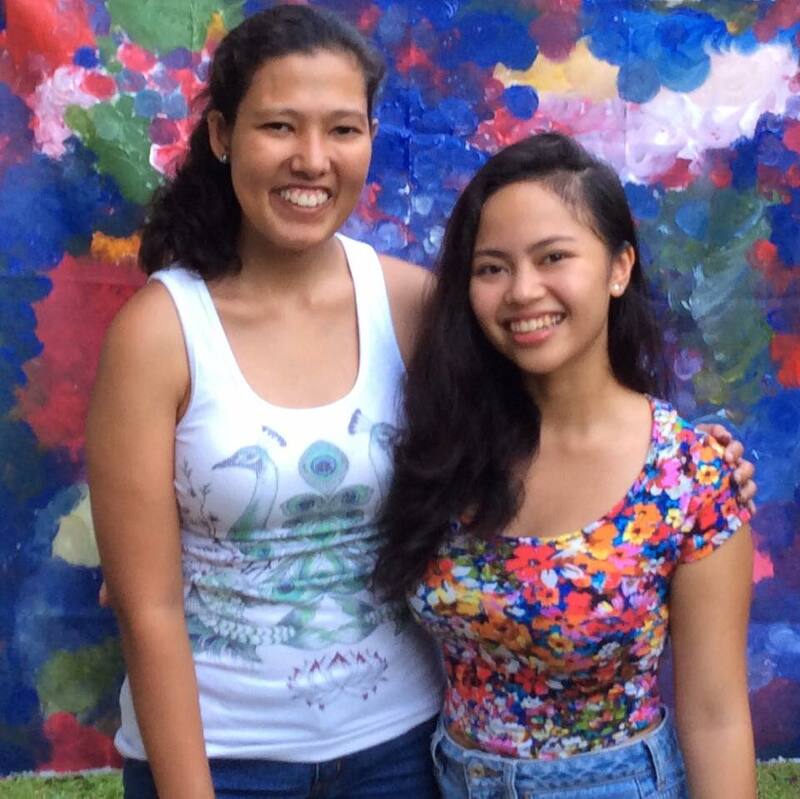 (left) by Bea Policarpio. // 24 HOURS, 2015. (right) by Marco Baluyut. 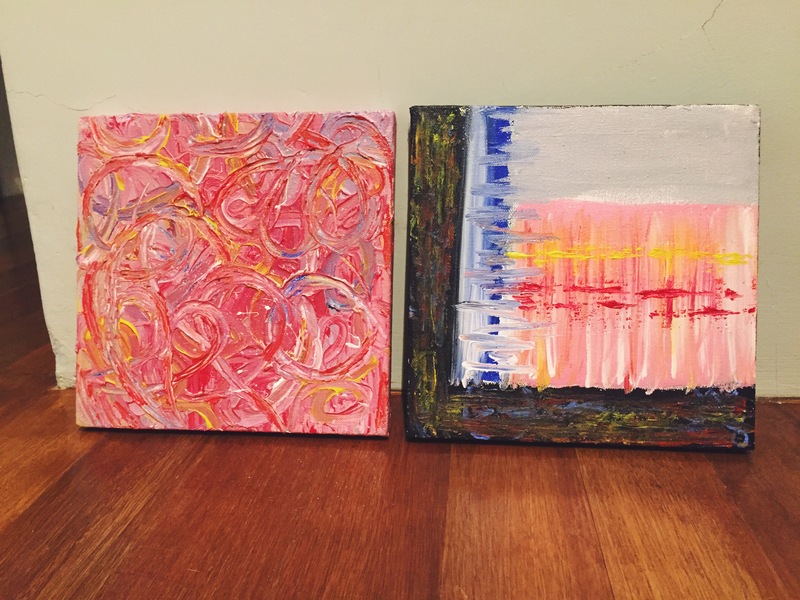 Both paintings are acrylic on canvas, 9×9. Looking back, July for me was definitely a month of exploring creative stuff and catching up with friends. 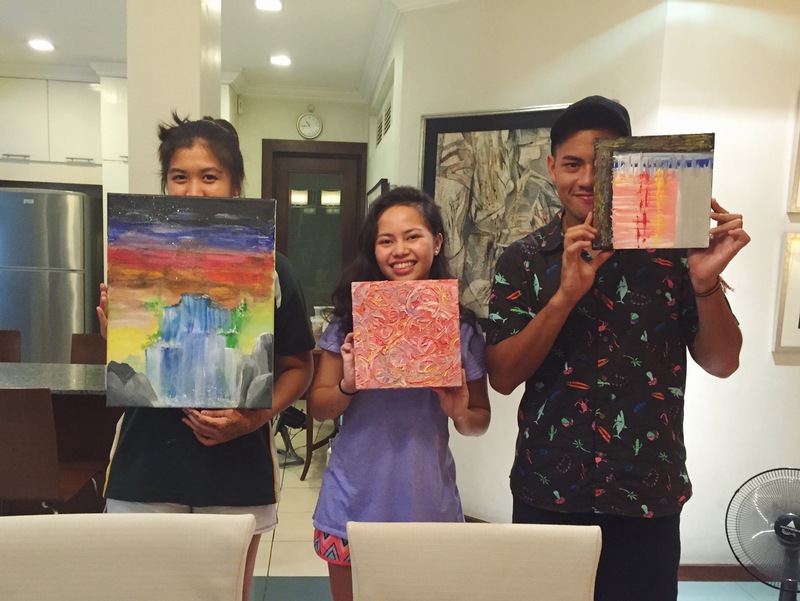 It was great realizing that I could somehow combine both just by inviting others to make art with me. If any of you wanna get together for some creative fun, you know how to find me!